DPChallenge Forums >> Current Challenge >> I caught me a troll! Maybe it could be set up in the system that only members can vote on members challenges. Maybe then we could see if low votes still continue in this section compared to the open sections. This is already in place......only members can vote on member challenges. Time for a probation period. No Voting for first 30 days after signing up or something along those lines. Would save everyone the hassle.. I think I've always pretty well been a members so didn't realise this. That won't help then will it. make voting here a privilege, not a given right. And you earn that privilege ONLY after having entered a minimum number if challenges. I think three should be adequate. I started off my viewing photos and voting on open challenges, and only after I had got a 'feel' of the site did I start enetering challenges myself. Also, I know of at least two people who love looking at photography, and have a pretty good eye for aesthetics, but either have no desire to take photos themselves, or who aren't (or don't see themselves as being) particularly good at it. On the other hand, Sara has a valid point as well. Message edited by author 2009-06-02 09:00:06. All scores are relative so a Troll voting low on all entries will have little impact on the balance of scores. You have to feel sorry for somebody who has the time and patience to vote on every entry in 2 challenges just to annoy people. Either that or (s)he's brilliant and just waiting to enter their first challenge. Sure thats correct within the context of an individual challenge however many people I imagine might aim for PB's, breaking 6 or breaking 7 rather then their relative scores. To potentially miss out on a new personal landmark score due to an idiot troll would annoy a fair bit I reckon! It will be interesting to see how much of these troll votes get scrubbed? I will be watching with interest. Does anyone actually know how the scrubber works? Agreed, and this I think is something people often miss. Trolls affect everyone, all scores are impacted more or less to the same degree. If it bothers you, take the time to sit down and work out what your score would have been without the 1's and 2's. Once you do that, check the scores around yours and do the same. See if the order changes at all. If you want to fight trolls effectively, then you need to distinguish between their different species! - trollus vulgaris: They cannot distinguish any form of photography and vote down every picture. They should be quite easy to catch, but I do not want to take away the merit from TallPaul. We want a picture of him roasting! - trollus obtus: They have a precise view on how everbody should interpret a challenge description and will punish those who see it only slightly differently. Their favorite war cry is DNMC, but not only. I have certainly forgotten some other important species. Another problem is that the size of their tribes are largely unknown. I tend to agree with FrankRobinson, so I suspect that the 4th type is much more numerous than the 1st one. Therefore, the interesting proposal from snaffles would not be very effective. You want to see a picture of me roasting..... :( pourquoi? I've lost the pointer to my dead horse or I'd post it now. Complete with baseball bat! I'm curious, my question is for the original poster. How do you determine who has just voted on your image. I'm a great believer in anonymous voting, so if you show me a way to consistently identify voters, I suspect I'll quit voting as much. Only the voter and SC, have any business knowing the vote. I probably cause you a bit of grief any way as I usually vote for all the images in a challenge. Then I go back over the top 50 percent or so and make adjustments. Usually in the positive direction. So if I vote a 7 and then a day or so later vote it up to an 8, does that look like two different votes? Do you think you know who voted for you then? I'm gonna vote one of the remaining challenges not voted and invite anyone to pm me when they think they know my vote. Maybe you should wait til the voting is over to pm me for proprieties sake. Oh, when you check my profile I hope you like my voting average for the 20,000 or so votes I've made. seriously, take a walk outside, read a book, listen to the radio. you guys need to realize that this is a virtual community. do low voters really make you feel that bad about your existence? so sad. I think you made your point the first time however I don't feel I need to take advice on what to do with my time. Thanks for caring though. I think we overestimate the power of the "trolls" and their effect on final placement. If there's a handful for every challenge and they vote trollish on most entries, they would pretty much cancel each other out. Putting in a probation period or other restrictions on voting could turn off a lot of potential new users. I was one of those who viewed and voted before I actually entered. I very valid point and since it is aimed specifically at me I will do my best to answer. In short I can't indetify who has just voted, thats why I neither posted a username or intimated it was anyone. However I often use the scoring spreadsheet as I watch my score, as I work on my PC and especially much later in a challenge a quick flick of the update button will reveal a new single score. Now I have no desire to debate how sad that is (trust me I know my wife tells me all the time!) but this morning I hit update and got a 1. In the context of my the new PB I am hoping for I was annoyed. I look to see who's online and amoungst the few members is a new registered user. The details of their voting is in my original post and should be self explanatory. Do I know absoloutely it was them that gave me a 1. Of course not. There is no way I could, and I agree, voting should be annoymous. Do I feel justified in reporting them to the site council. Yup, as on the balance of probabilty it was them. If not, they are a troll anyway as are the other 2 reg'd users with sub 2 averages ID'd this week by other members and reported to the SC. 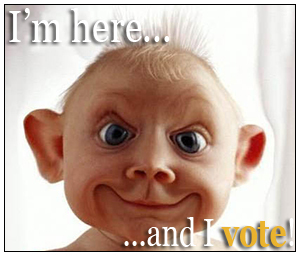 In summary the average voter with a average, average vote coudl never be ID'd and never should. But if you happen to watching your score at the right time, you just might get lucky and catch you a troll. Hence the playful thread title! I hope it helps explain. It was meant as a bit of fun really. PS - You have a very nice voting average and a nice hat. Paul, perhaps you should add that this happened during the US night time and there were a mere handful of users online at the time. I've been watching my Still Life score rather closely of late (sad I know) and just got a 1. A quick look online revealed a new registered user with 227 votes (Still Life 164 + I Quit 63 = 227) and an average of 2.49. No entries, threads, portfolio or any other contribution other than to decimate your hard earned scores. So if your Still Life or I Quit score has recently plumeted, I probably know who is to blame. I have informed the SC and I hope they act. So you got a 1, so what? We all do sometime, so just drop it and move on. I re-read the above and it sounds overly sarcastic which was not my intention. Sorry. I will however move on as this was meant to be a bit of fun and it seems to have annoyed one or two people. Wasn't my intention. Message edited by author 2009-06-02 10:40:06. No of course not, sorry about my unclear statement. Self-Portraits while turning on a spit are really hard to setup, so don't bother for me, please! I want to see the troll you caught roasting, refering to the 2nd post in this thread. Message edited by author 2009-06-02 10:51:05. It was not meant to be so overly sarcastic, sorry if I over stated my point. Thats what happens when I try and be funny. No harm done I hope. Thanks about the hat. Unfortunately the dog has since had it's way with it. :) I didn't take your post in a a bad way. I deal with trolls in a different manner. I turned off the update button. I've never had a single problem with trolls since! Wait til you encounter the roll over one bandit. At about one minute past midnight this miscreant will vote *ALL* entries a "1". So if he's your first vote, very likely, you'll have a average of 1!!!!!! Then 24 hours later he either deletes his votes or raises them to whatever he/she would normally vote. Now since I no longer look at anything but comments and the final vote, I never have to suffer trolls. I highly recommend it. I'd much rather look at the comments anyway. Proudly hosted by Sargasso Networks. Current Server Time: 04/23/2019 12:36:35 PM EDT.